You may already know, I love both of these guys as talents because our computer models did, and because I have functioning eyeballs that watch a lot of football. 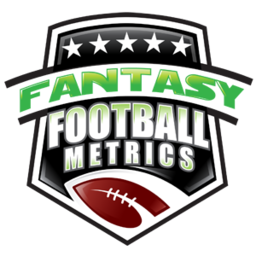 That being said… Am I fantasy-excited by their newfound Eagles activations? We talked about this on the video Q&A show last night… This has the potential to go nowhere fast. In the imaginary playland that is my mind, Adams sweeps in and takes a few carries and impresses so he becomes the starting RB in 1-2 weeks and changes the course of Eagles history at running back. The reality is – he’s likely never to touch the ball. The Eagles can keep him quiet and cut him, and then try to stash him back on the practice squad if Jay Ajayi is ‘OK’ this week. I assume Ajayi is not ‘OK’ and will be out 1-2 weeks. In that case, Adams has to fight Clement-Smallwood and returning Sproles (if back) for touches on a team that LOVES to play RBBC. Adams can come in and dazzle all he wants…he’ll get like two touches to prove it and then Doug Pederson still mixes all the touches around. 99% likely this chapter of the story ends with Adams not seeing many/any touches and is cut in two weeks because the Eagles can’t keep five RBs. 1% chance, he delights with a few touches, the coach realizes he has a workhorse RB in his midst and Adams leads the NFL in rushing this season. If Adams were just activated by the Colts, I’d be losing my mind…and likely for no good reason either, but still... With Philly, there are almost too many road blocks to get excited about Adams for fantasy. I wish it weren’t the case and I hope he gets a chance, but the reality is…the system is stacked against him. This move has more potential. Matthews knows this team, this QB, these players, this playbook mostly. The Eagles are dying for WR help. This is one where Matthews could step right in and ‘boom’ he’s the Eagles top WR in 2-3-4 weeks. The path is much more clear here. But… Matthews has been gone awhile. He’s been battling injuries for 2+ years now. We don’t know how ready he is. There are a lot of ifs…but if Kamar Aiken can walk in off the street and start and get good targets (last week), then Matthews could hit fast and be a nice WR3/flex with some upside if Alshon Jeffrey can’t get ‘right’. There are better WR plays on waivers in most standard-sized leagues, but not many more. The deeper your rosters…the more I like Matthews as a PPR last roster spot gamble for those in need. Before I mess with Mohammed Sanu, Cole Beasley, Rishard Matthews…I might take a flyer on JMatt being in the right place (again), at the right time. Getting a lot of lamenting questions on Tarik Cohen…because I’m ‘out’ on him, per my latest game analysis of SEA v. CHI. I mean I’m ‘out’ in the 12-team, 15/16-man redraft roster sense. He isn’t getting touches, I don’t have time to waste when I don’t see any effort by the team to get him the work he was supposedly getting in training camp. I still believe in the talent, the potential, but he’s going nowhere for fantasy right now. Deeper roster, dynasties, Jordan Howard holders…different ball game. I don’t see him being used radically, so he’s become a backburner guy I’ll watch for a change on. He’s falling into Cordarrelle Patterson, Jakeem Grant, Corey Grant territory – me complaining ‘why don’t they use him more?’ as they never get used enough. I love all those guys, but I don’t have any of them rostered in a 12-team, 15-man redraft league. Also note...Marcus Murphy is only as good as LeSean McCoy is OUT. However, McCoy is practicing today, so he's trying to play...not good for any modicum of Murphy hope.